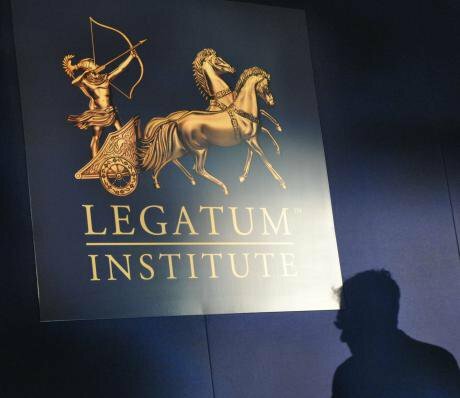 Controversial think tank the Legatum Institute has been strongly criticised following an investigation by charity regulators. A report from the Charity Commission released today found that Legatum’s work on Brexit “crossed a clear line”. Legatum, which is a registered charity, has emerged as one of the most influential think tanks in Westminster. Ministers have often cited Legatum’s work to support Brexit policies on everything from tariffs to the Irish border. An investigation by the Charity Commission found that a Legatum report, Brexit Inflection Point, did not present “balanced, neutral evidence and analysis” and was “not consistent” with the charity’s objectives to promote education. The report, which called for the UK to leave the single market and the customs union as soon as possible, “may be seen as promoting a political view...for the aim of a particular final outcome, and recommending specific government action that reflects this,” the regulator found. The Charity Commission has ordered Legatum to remove the report from its website and given formal regulatory advice to its trustees about maintaining independence and neutrality. Separately, documents seen by openDemocracy show that the regulator expressed concern about whether Legatum was “capable of becoming a charity” when the charity was registered in 2011. Commenting on the Charity Commission findings, David Holdsworth, the regulator’s chief operating officer, said: “Our case found that the Legatum Institute Foundation breached regulation with the publication of its Brexit Inflection Point report. “On such a highly political issue it is especially important that trustees can clearly demonstrate they are operating in line with our guidance to inform the public in a balanced and evidence-based way. The Charity Commission opened a compliance case into Legatum in November 2017 following reports that the charity was “promoting the views of pro-Brexiteers”. After the European Union referendum former Vote Leave chief executive Matthew Elliott joined the think tank, along with a number of leading Eurosceptics. A recent openDemocracy investigation found that Brexit minister Greg Hands had arranged monthly meetings with Shanker Singham, Legatum’s chief trade advisor. Singham, who has since joined the Institute of Economic Affairs, was implicated in a letter sent by Michael Gove and Boris Johnson urging Theresa May to take a harder stance on Brexit. Singham had multiple undeclared meetings with another Brexit minister, Steve Baker, according to reporting by Buzzfeed. On his website, Baker describes the Legatum Institute as “remarkable”. A former Legatum trade advisor, Crawford Falconer, now works at Liam Fox’s Department of International Trade, where the New Zealander holds the post of first British Chief Trade Negotiation Advisor. Legatum’s links to Russia has also been the subject of intense media scrutiny. The charity was set up by Christopher Chandler, a New Zealand-born tycoon who was once a major shareholder in the Russian state energy firm Gazprom. In May, a Conservative MP used parliamentary privilege to name Chandler as “an object of interest” to French intelligence services in 2002, suspected of working for the Russian secret service. Former Labour minister Liam Byrne said the “incredibly damning” Charity Commission report “lays bare Legatum’s abuse of charity rules to pursue a Hard Brexit agenda which its founder Mr Chandler tried to deny”. “Here we have a New Zealander with acquired Maltese citizenship and a fortune made in Russia, creating a Mayfair think-tank that abused charity rules to help win an argument for Hard Brexit. We have got to now debate how we stop this ugly new elite soft-power driving Britain over a cliffWe have got to now debate how we stop this ugly new elite soft-power driving Britain over a cliff", Byrne said. Jolyon Maugham of the Good Law Project called for the Charity Commission to look into other charities campaigning around Brexit. “Charities are supported by public funds. And the quid pro quo is an obligation to deliver the public good - not the ideological agenda of wealthy private donors. The Legatum case, I am afraid, is endemic of a much bigger problem. The Charity Commission investigation is not the first time that the regulator has raised concerns about Legatum’s charitable status. Back in 2011, when Legatum was registering as a charity, the regulator wrote that it was “not clear” whether Legatum was “capable of becoming a charity”, according to emails released following Freedom of Information requests. In an email response Legatum told the Charity Commission that its research would be “be based on neutral evidence and statistics and any conclusions made will be based on such evidence”. The regulator subsequently granted Legatum charitable status. 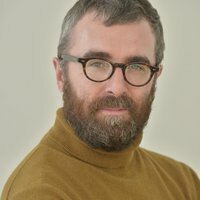 The Legatum Institute’s Chair of Trustees, Alan McCormick said he was “pleased” that the Charity Commission had concluded its review but “concerned” by the request to remove the Brexit report from the think tank’s website.